Discover Ibiza, at the heart of the Balearic Islands: an island with a unique, authentic charm where time stands still! Apart from the island’s lively nightlife, Ibiza’s main attraction is undoubtedly its nature. Stroll in the dry, rocky countryside studded with pine forests. Be amazed by the brilliant beauty of Ibiza’s beaches, with their pure, blue crystalline waters. True picture postcard scenery! The islands carved-out coastline reveals numerous luxuriant inlets, such as Cala d'Hort with its wild authentic charm, and Cala Conta with its white sandy beaches and little cliffs. Ibiza is a land that is very popular for adventure sports but, don’t worry, there are also many, more leisurely activities! Go off and explore the seabeds, wander through the nature parks on horseback, take a hike or mountain bike ride. 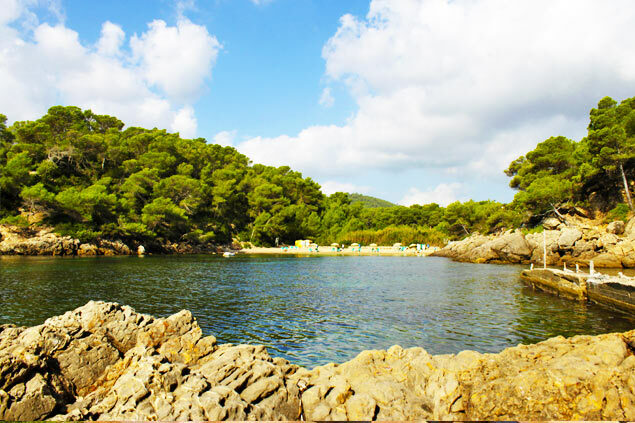 Don’t miss the sacred woods of Santa Eulària and Sant Miquel with their fortified churches, the temples of Sant Josep, Sant Jordi and Sant Antoni, the hamlet of Sant Llorenç de Balàfia and the thousands of typical houses spread among the island’s valleys and plains with their wells and ponds of Arabic origin. 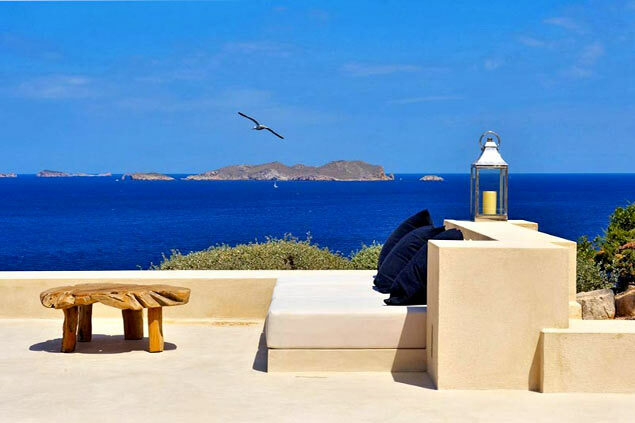 Villanovo has very carefully selected the most beautiful luxury villas in Ibiza. All over the island you will find elegantly laid out, prestige properties. Nestling in isolated creeks or within their own grounds, they offer idyllic views of the Mediterranean and surrounding countryside. Bask in the gardens or on the terraces; take a refreshing dip in the pool; indulge yourself in the comfort of your beautiful holiday home! Ever attentive to your requirements, our team will help you organise your own individually tailored holiday. Supplementary to your reservation, other services are available: car hire, chef, domestic staff, and more. No detail is left to chance to guarantee that your holiday in Ibiza is peaceful and serene! Our villa advisers are all experts at selecting the villa that will satisfy you. They will guide you to choose the right property and they will work with you to plan your vacation according to your needs and requests. Our local hosts Emily and Gérald will help you book the best or trendiest restaurants, share their secret places to eat, to shop or to go out or visit. The villas staff will also be able to assist you anytime and take care of all requests you may have during your stay. 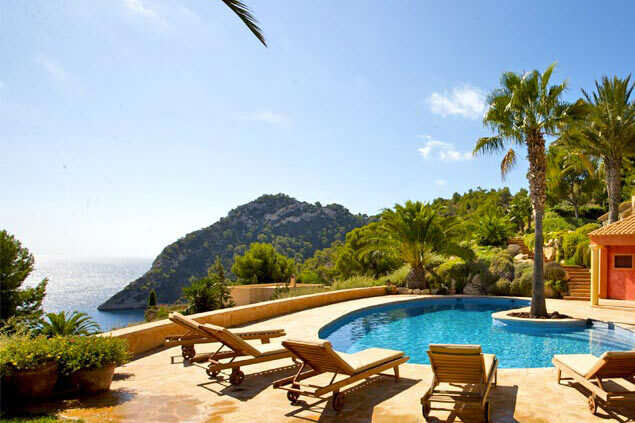 Villanovo offers a unique selection of luxury villas in Ibiza and Formentera, handpicked beautiful vacation villas in Es Cubells, Cala Moli, Cala d'Hort, Cala Comte and other beach villas in Ibiza and villas with a pool. Enquire with our team of specialists and book with us a luxury house in Ibiza or Formentera.